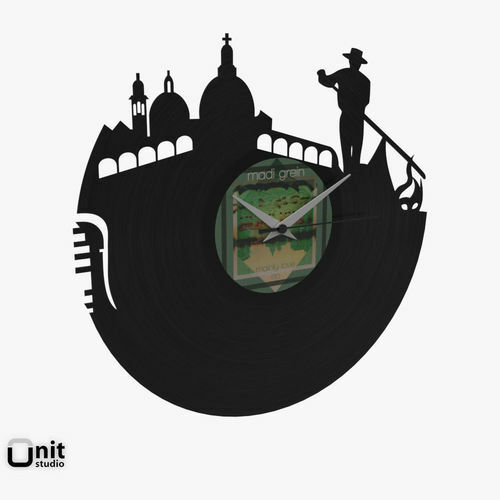 Venice wall-mounted watch made with a vinyl disc. Label is kindly provided by Madi Grein. All rights are reserved to the author.